Swing and draw heat press in one. 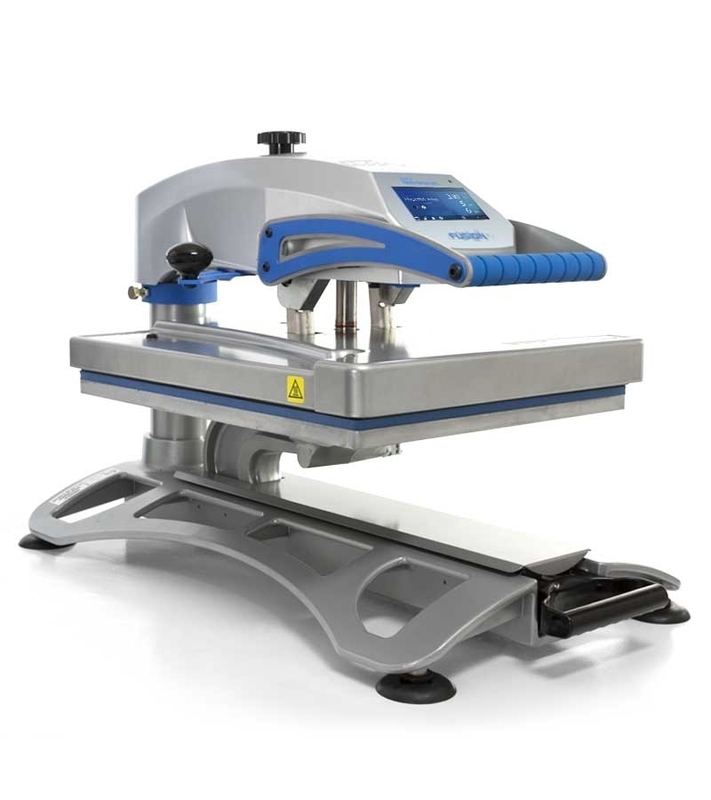 The versatile Hotronix Fusion IQ™ operates as a swing-away or draw press with a 16" x 20" platen, providing a heat-free workspace for the operator either way it's used. The Fusion IQ controller offers a larger, high-resolution screen and online administration. Hotronix Online Portal allows you to generate usage reports, manage users, and troubleshoot issues.